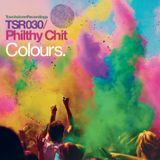 Philthy Chit is a name that is rapidly becoming recognised in the world of progressive house. 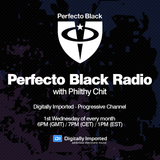 With releases on Perfecto Black, Bonzai Music, Black Hole Recordings, Saturate Audio, Philthy Chit productions have received support and radio plays from the likes of Markus Schulz, Paul Oakenfold, Paul Van Dyk, Danny Tenaglia, John 00 Fleming, Ferry Corsten, M.I.K.E. Push, Airwave, Gai Barone, Solarstone and many more. His first four releases on Bonzai entered the Audiojelly.com download charts at number 1, outselling major artists and producers worldwide. Having drawn the attention of major artists and record labels worldwide, Philthy Chit is now signed to the world renowned Perfecto Records and Bonzai Records, along with releases on Saturate Audio and Solarstone&apos;s Black Hole records. For production/ remix requests message Phil via Soundcloud.